Tuesday and Wednesday (yesterday) I also made birthday cards for both of my grandmothers, as their birthdays are back-to-back. That made them really happy. I’m happy about that. 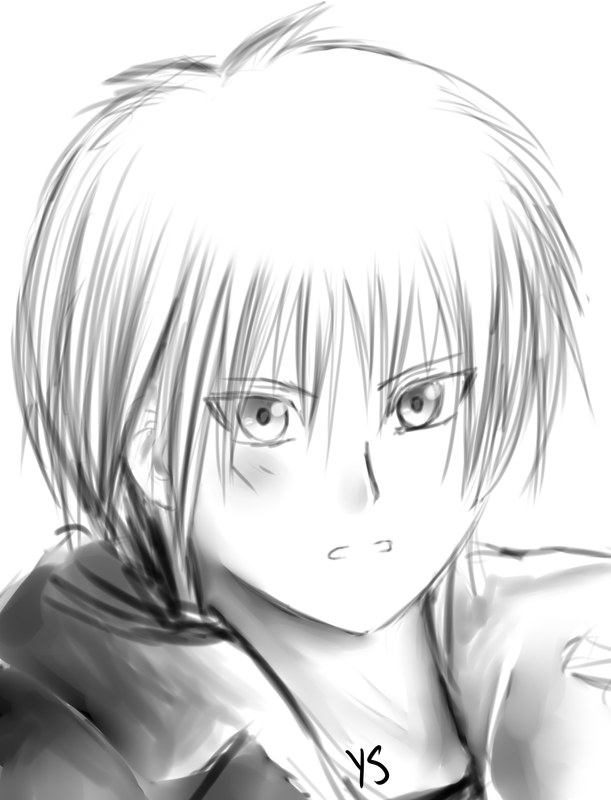 ^_^ So yeah, I have been drawing…just haven’t uploaded anything…yet. This past Monday I read two things that made me realize something. The first thing I read was an article on Tofugu about “little epiphanies.” It makes sense and all, but it wasn’t until a bit later that day when I read this that I had a little epiphany…and then realized that I’d just had one. I already knew about epiphanies (I have them fairly often, I’d say) and I knew about things like perseverance and having a strong desire to do something enabling you to attain/obtain what it is that you want. But it wasn’t until that autobiography showed it to me in a different way that I realized the gravity of what I knew and how I could apply it to my own life. So what is it that I had this epiphany about? Well…to put it simply, I realized that I need to be passionate about what I do in order to succeed in what I do. In that bio, what really stands out to me (aside from the past I didn’t know about–wow) is the level of passion with which Danny pursued learning Japanese and getting to Japan; how he never really stopped moving towards what he really wanted–and now he has it. I am greatly inspired by this, and yet I also feel a bit ashamed of myself, because I know that I knew what it took to learn Japanese back in 2006 and onwards, but it never really hit me until this particular week–the last week of September, 2011. Therefore, I hadn’t really tried. It’s embarrassing to say that I’ve been learning Japanese for five years and I’m still at a beginner/lower intermediate level; really, all I did for three or four of those years was study it. Like I’ve said before, I played at learning the language. I wasn’t really serious. Last year I started trying a little bit, but this year has probably been the most productive thanks to lots of inspiration and TextFugu. But like I said, even though it makes me feel guilty for not trying hard until now, I am greatly inspired by reading that bio. Now I really know that I know I have what it takes to accomplish whatever I want. I can’t just go through the motions. I can’t just play at it. I have to mean it. This applies to more than just learning Japanese. It applies to my artbook as well. If you follow me on any platform, you’ve probably heard about my artbook. You’ve seen my updates blabbering about what I was working on and how little time I had left until the deadline only to not come through at the end. So why? I had a lack of passion; a lack of a burning desire to get it done! Even in our group, KiraKira…I think we’ve lacked that intense passion needed in order to fuel our project onwards at a much faster pace.